Banyan The Resort is located minutes from the centre of Hua Hin town and is the ideal holiday destination for families, couples and golfers. It is the preferred resort at weekends by residents living in Bangkok and nearby cities. The Resort has been voted amongst being one of the best golf resorts in South East Asia. 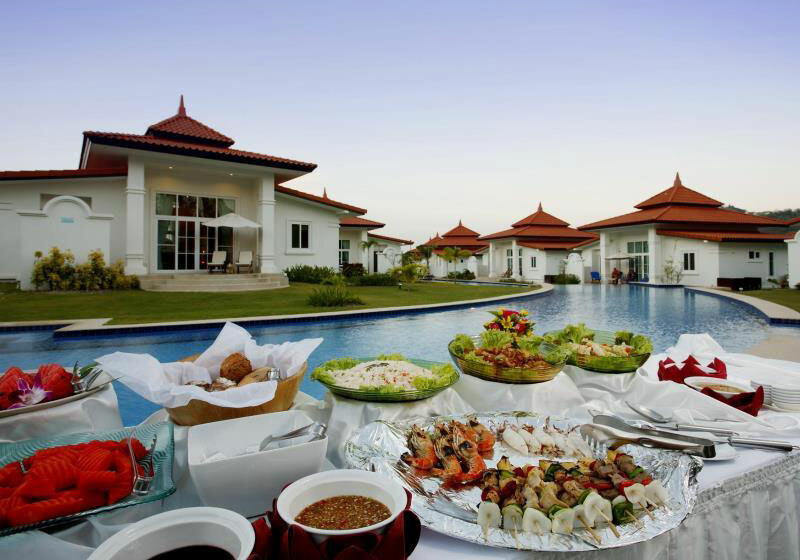 Set in a beautiful landscaped environment and complimented by world-class facilities, the idyllic resort comprises of luxurious two and one bedroom villas, tropical gardens, infinite swimming pools, recreation, spa, fitness and 5 star dining venues serving Thai and International cuisine. Banyan Resort offers golfers a courtesy shuttle service to the golf club and offers preferred rates to play the course. Short Description: Banyan The Resort is located minutes from the centre of Hua Hin town and is the ideal holiday destination for families, couples and golfers. It is the preferred resort at weekends by residents living in Bangkok and nearby cities.